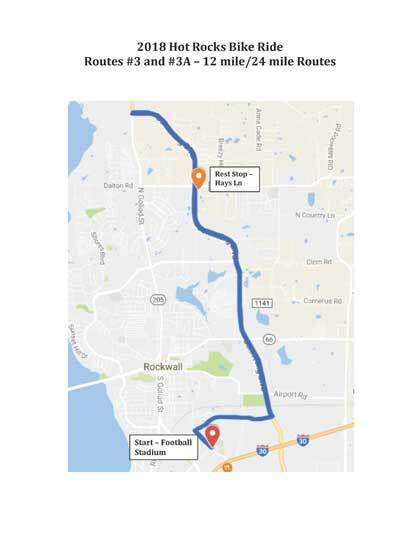 The 12 mile route is 90% 4 lane lightly traveled streets near the Rockwall football stadium with light to moderate grade. The 24 mile route is a second lap of the 12 mile course. The 12 and 24 mile routes also start at 8:10. There is one rest stop along the route, which the riders will pass several times along the course.